Help Me Survive Daylight Savings Time! Coming up this Saturday! I very clearly recall the days when just the thought of Daylight Savings sent me into a huge panic. “How is my baby going to handle the time change?” “How long will it take for him to sleep until 6:30am again?””How can I make this easier on all of us this time?” Luckily in our house it never seemed to be as tough as I thought it would be; however Daylight Savings Time is definitely a transition for most little ones. Now if you are one of those really proactive parents (I swear I used to be!) then you’ve probably done your reading about what you can ahead of time. Things like putting your child to bed 15 minutes earlier every few nights leading up to Daylight Savings Time. If you’ve already done that, HOORAY!!! But if you are like the rest of us, keep reading for some simple tips to make this transition just a bit easier. 1. Why torture yourself with changing the clocks before you go to bed? 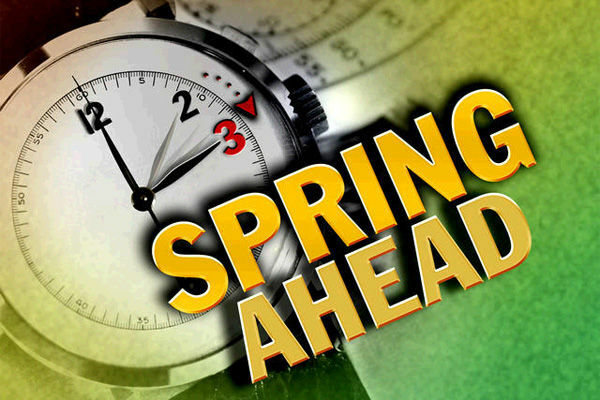 Simply keep your clocks the same until the next morning and let everyone get their sleep (unless of course you need to be somewhere early). Then once you’ve woken up, shared your good morning hugs, and had your coffee, go around the house and move your clocks forward one hour. 2. If your child is still napping, continue to follow nap times either based on appropriate wake times for younger babies or set nap times for older toddlers. Be prepared that the older toddler naps may come with a bit more effort as your child may not quite be ready for their nap. 3. 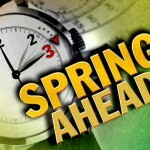 Set your expectations that Daylight Savings Time kind of messes things up for just about everybody for a few days. We are all in the same boat and things will fall back into place within a week or so. 1. Understand that your child’s standard bedtime is going to feel a lot earlier both in their body and with the increased daylight outside. It will be helpful to set the stage in their bedroom for night time sleep. Before your bedtime routine begins, go in and close the curtains, blinds, or shades and make the room as dark as possible with no daylight peeking in. If you don’t have blackout window treatments a set of dark sheets can do the trick. 2. If your child is still napping, do what you can to get good solid naps in the first few days of the time change so you can avoid an overtired child. Stick to your normal schedule. That’s right. Don’t change a thing. Just act like its a normal day and know that everything will be pushed ahead by one hour. If you follow this method you may actually want to set your clocks before you go to bed. Put your child to bed at their “regular time”. So if you child goes to bed at 7pm, continue to put them to bed at 7pm (which will feel like 6pm). Because your child’s body will most likely not feel tired yet, be prepared that bedtime may take a bit longer. But as their internal clock adjusts, this will get easier and easier. Split the difference. If your child’s bedtime is 7pm, put her to bed at the new 7:30pm for a few days and then shift back to 7pm. For many children this can help to minimize any bedtime struggles or stalls in those first few nights. This method requires 100% consistency throughout the day with naps as well as bedtime. You will need to shift her naps and meals by half an hour ahead as well. 4. Go easy on yourself and your child. It is normal for this shift to take upwards of one week until everyone is back to their normal sleep schedule. And you may even be surprised that your child’s sleep times actually improve when the time changes! Wouldn’t that be nice? Good luck and if you have more helpful tips please share them in the comments below.